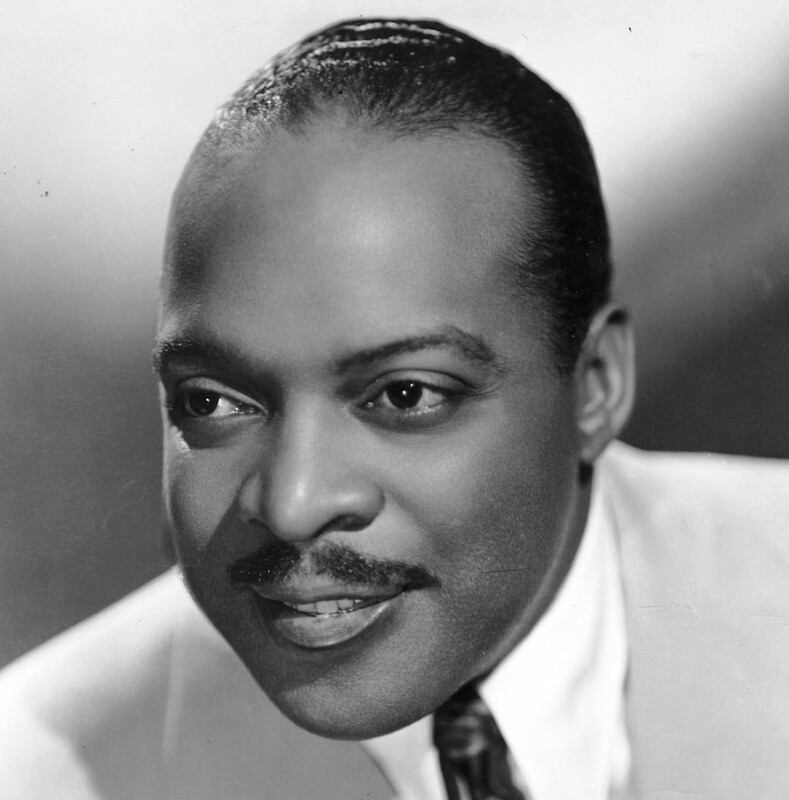 Born William James Basie in Red Bank, New Jersey, Count Basie was a pianist and one of the best band leaders of the swing era. Old time dancers swore he was the best dance band of all time, modern dancers still dance to his music whenever they can. What made Basie's band so great? Longevity. And that rhythm section. Walter Page on bass was the heart of Basie's rhythm section, Freddie Green played rhythm guitar, Jo Jones the drums, and Basie himself was the pianist. This group were the engine driving the Basie Orchestra, and the reason this band was so great for dancing. Jazz fans divide the Basie band's recordings into two groups: 'old testament' Basie (1920s-1940s) and 'new testament' Basie (1950s-1980s). Both periods have brought us some of the best swinging jazz of all time. Basie started playing with Walter Page's Blue Devils in 1928, and in 1929 he began playing with Bennie Moten's band, based in Kansas. 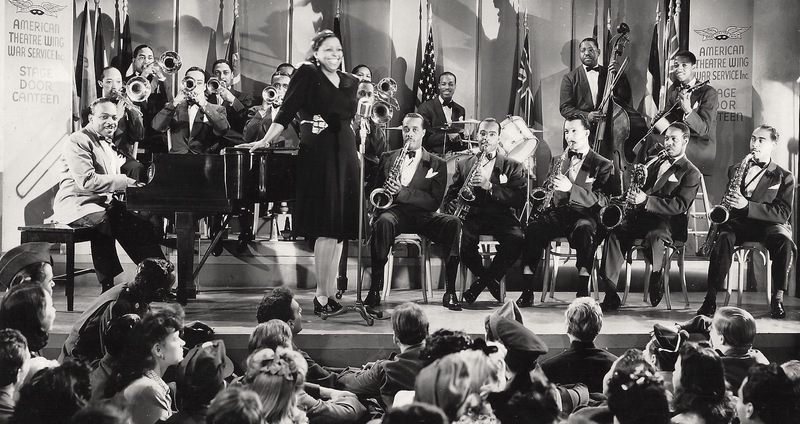 In 1935 Basie formed his own band, the Barons of Rhythm with key members of Moten's band: Walter Page (bass), Freddie Green (guitar), Jo Jones (drums), Lester Young (tenor saxophone) and Jimmy Rushing (vocals). 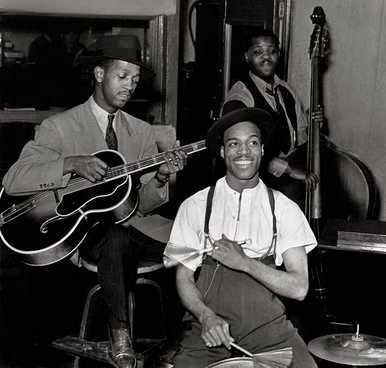 In 1936 the Basie band was recording as Jones-Smith Incorporated. 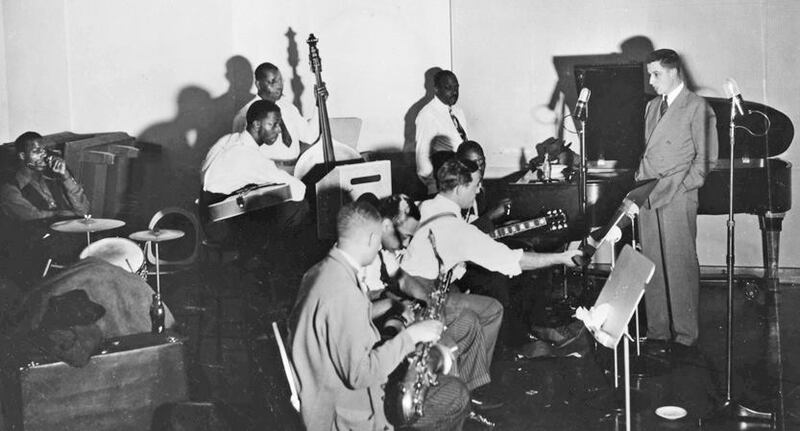 John Hammond, to become a famous producer and advocate for jazz heard the band on the radio, convinced them to move to New York and record more. This time as the Count Basie Orchestra. 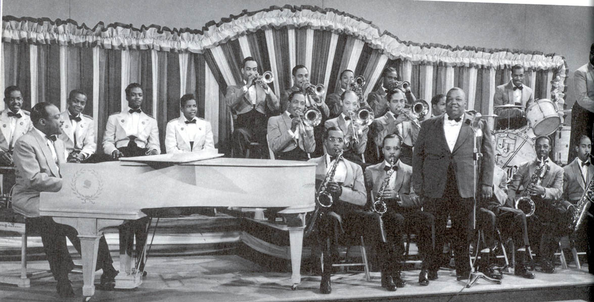 By 1938 Count Basie's Orchestra was in full flight. 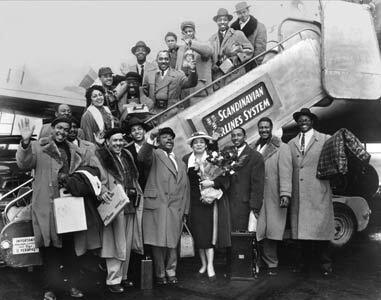 They battled Chick Webb's orchestra at the Savoy Ballroom (Harlem's home for lindy hoppers) and won. Lindy hoppers like Norma Miller, Frankie Manning, and other members of Whitey's Lindy Hoppers declare Basie's band the best for dancing. The band's success continued into the 40s, and in the 1950s it leapt to new heights. The new testament Basie band's live recordings at the Newport Jazz Festival and night clubs like the Crescendo are among the very best big band jazz recordings. Basie recorded with a number of other artists over the years included Benny Goodman's Sextet in the 1940s, and Oscar Peterson in the 1970s. Shiny Stockings (1963) Count Basie and his Orchestra (incl. Ella Fitzgerald) - Ella And Basie!